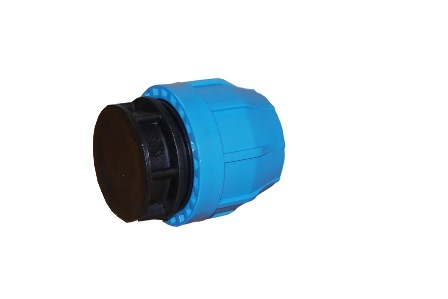 Compression End Caps are available in sizes 3/4" up to 2". 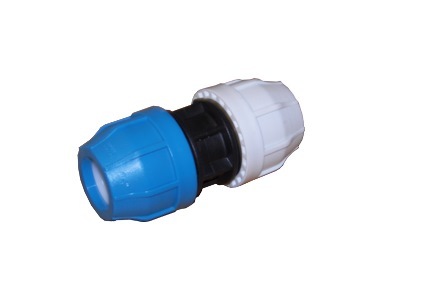 The unique range of the Compression Fitting allows assembly on IPS-OD polyethylene pipe with no need to disassemble the fitting. Compression fittings make installation straightforward and efficient. 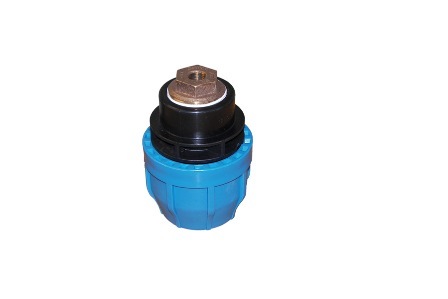 Compression Test Caps are available in sizes 3/4" up to 2". 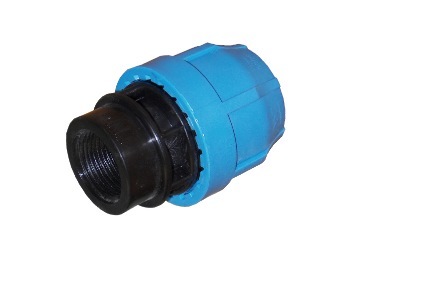 The unique range of the Compression Fitting allows assembly on IPS-OD polyethylene pipe with no need to disassemble the fitting. Compression fittings make installation straightforward and efficient. Compression X Female Adapter for P.E. Compression X Female Adapters for P.E. are available in sizes 3/4" up to 2". 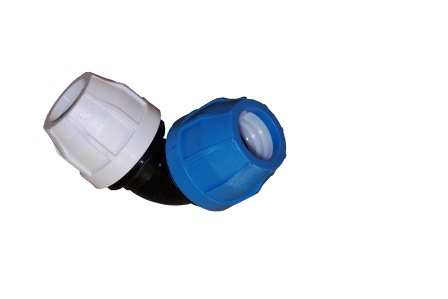 The unique range of the Compression Fitting allows assembly on IPS-OD polyethylene pipe with no need to disassemble the fitting. Compression fittings make installation straightforward and efficient. Compression X Male Adapter for P.E. Compression X Male Adapters for P.E. are available in sizes 3/4" up to 2". The unique range of the Compression Fitting allows assembly on IPS-OD polyethylene pipe with no need to disassemble the fitting. Compression fittings make installation straightforward and efficient. P.E. X P.E. 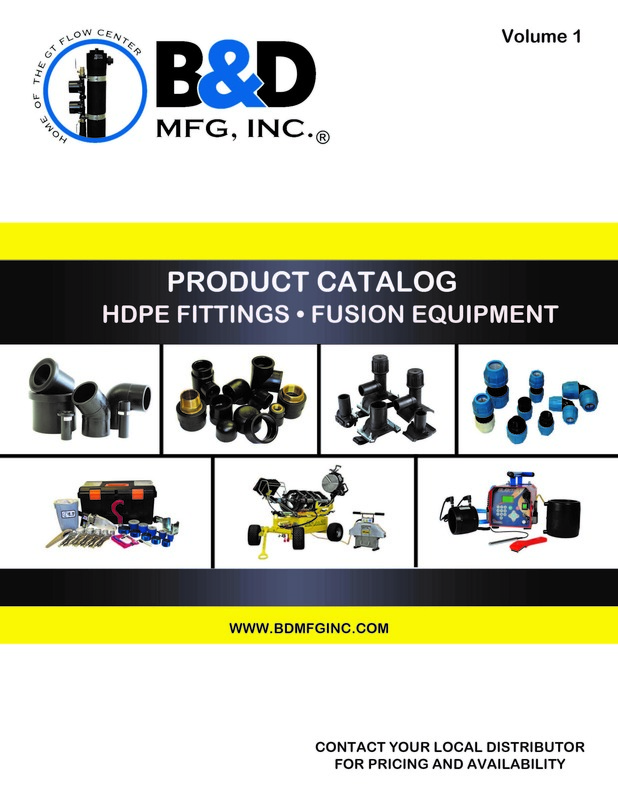 Couplings are available in sizes 3/4" up to 2". The unique range of the Compression Fitting allows assembly on IPS-OD polyethylene pipe with no need to disassemble the fitting. Compression fittings make installation straightforward and efficient. P.E. X P.E. Elbows are available in sizes 3/4" up to 2". 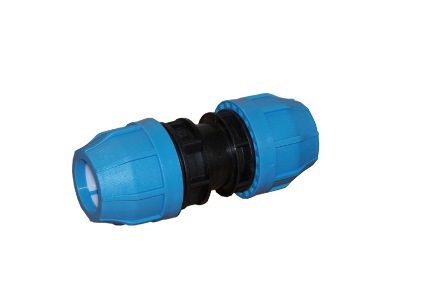 The unique range of the Compression Fitting allows assembly on IPS-OD polyethylene pipe with no need to disassemble the fitting. Compression fittings make installation straightforward and efficient. P.E. X PVC Couplings are available in sizes 3/4" up to 2". 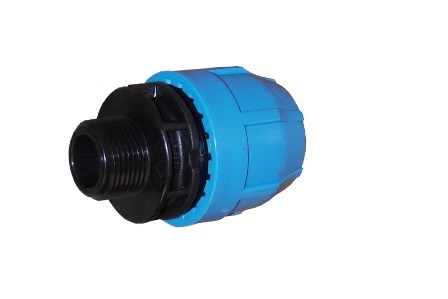 The unique range of the Compression Fitting allows assembly on IPS-OD polyethylene pipe with no need to disassemble the fitting. Compression fittings make installation straightforward and efficient. P.E. X PVC Elbows are available in sizes 3/4" up to 2". 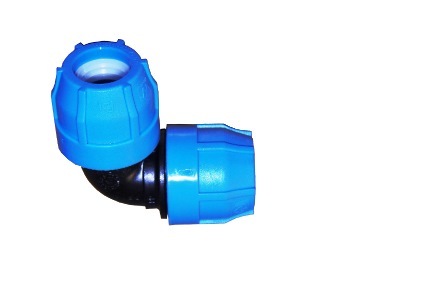 The unique range of the Compression Fitting allows assembly on IPS-OD polyethylene pipe with no need to disassemble the fitting. Compression fittings make installation straightforward and efficient.